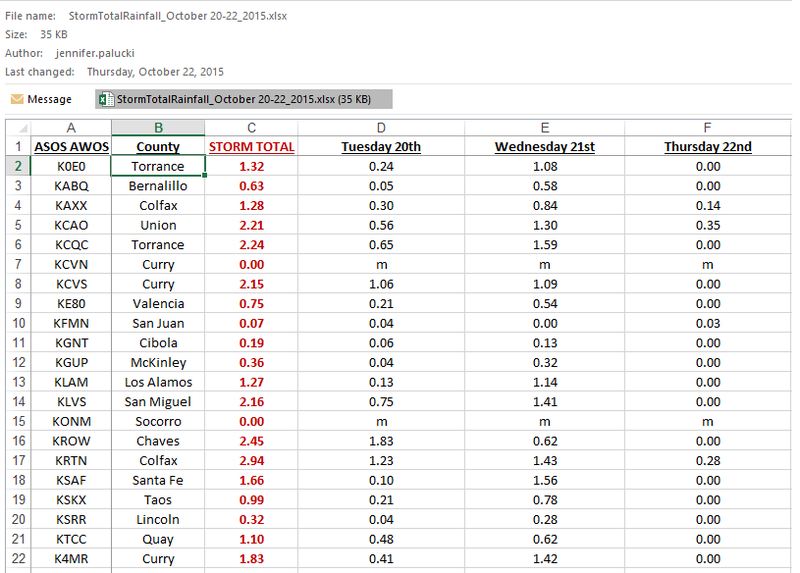 Summary Of The SE NM Severe Weather Outbreak Wednesday, Oct 21, 2015. 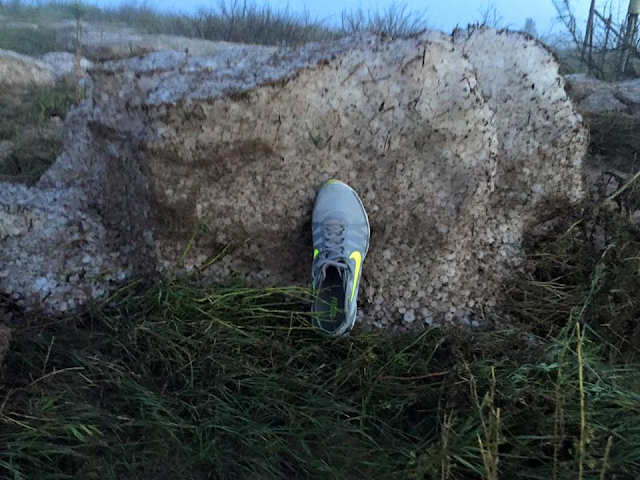 Hail Fell 2-3 Miles East Of Lake Arthur, NM on Wednesday, Oct 21, 2015. This Hail Fell 2-3 Miles East Of Lake Arthur, NM on Wednesday, Oct 21, 2015. A nasty Severe Thunderstorm rolled through the Artesia, Cottonwood, and Lake Arthur areas on the evening of Wednesday, October 21, 2015. Reports from the public indicated that hail was pea to quarter size in Artesia, as large as Tennis Balls in the Cottonwood area near Mill and Bolton Roads. 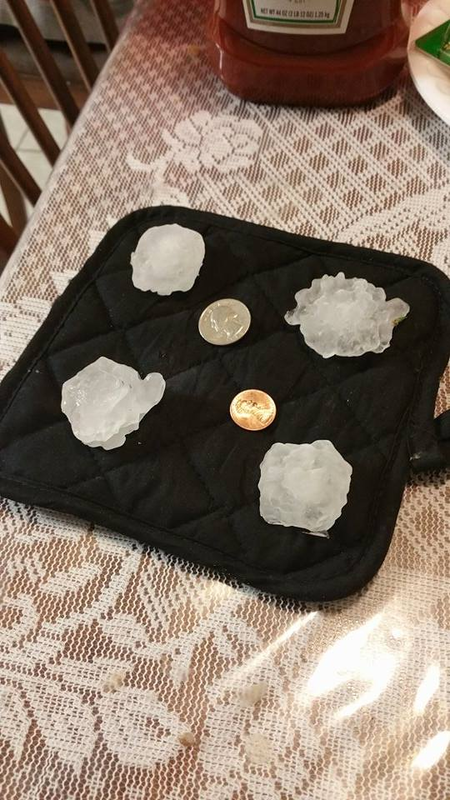 Ping pong to golf ball size hail was reported in south Carlsbad. 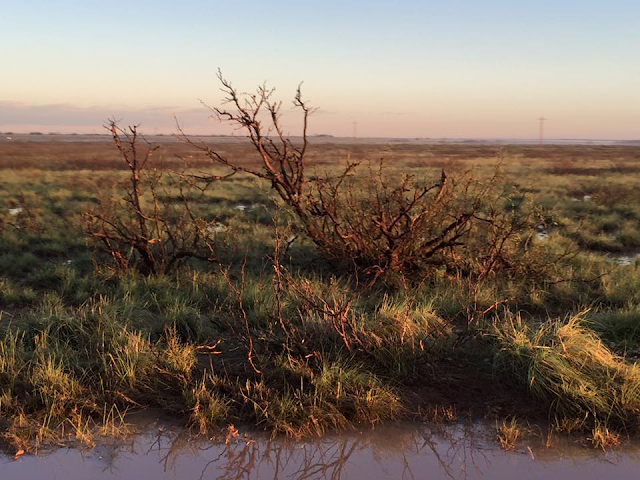 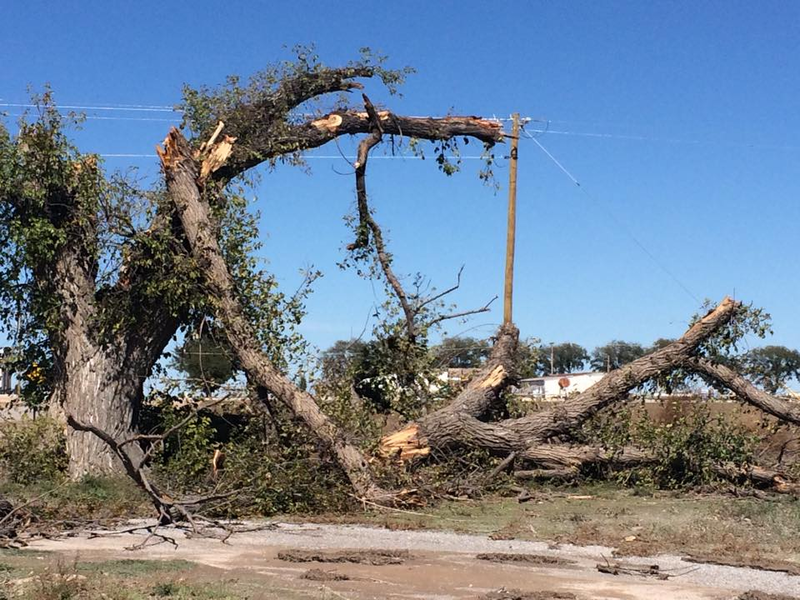 Wind damage was also noted in the Cottonwood area north of Artesia. 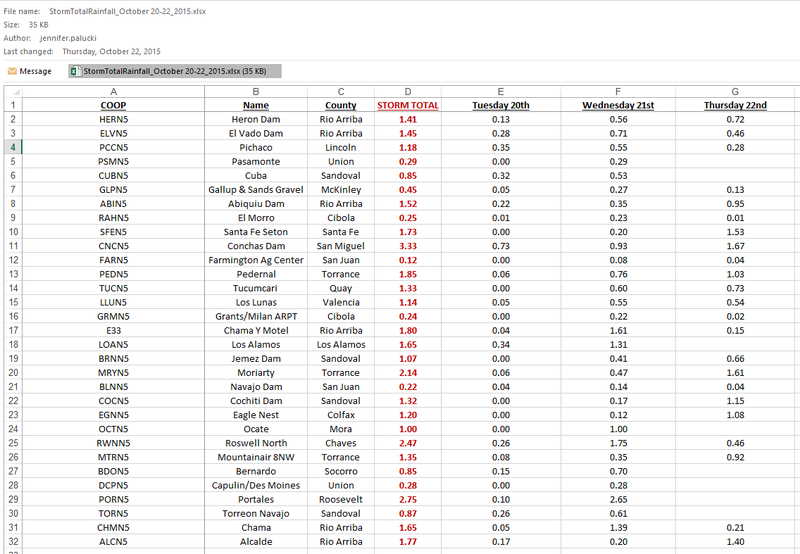 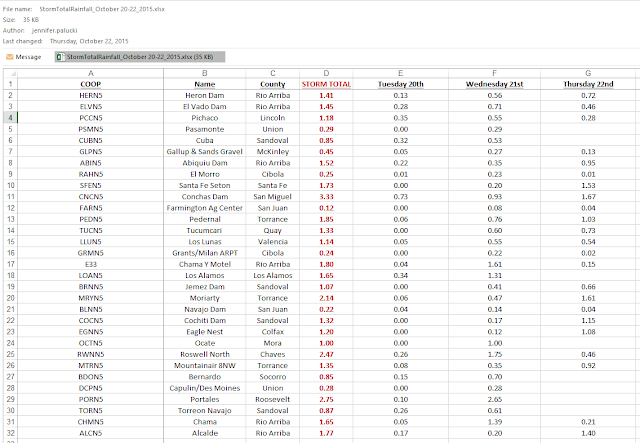 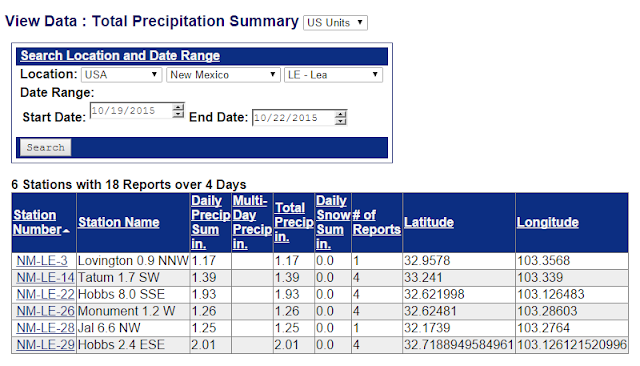 24-hour rainfall reports by the public in the Cottonwood and Lake Arthur areas ranged in the 2"-6" neighborhood. Notice How The Hail Stripped The Mesquite Bushes Bare! 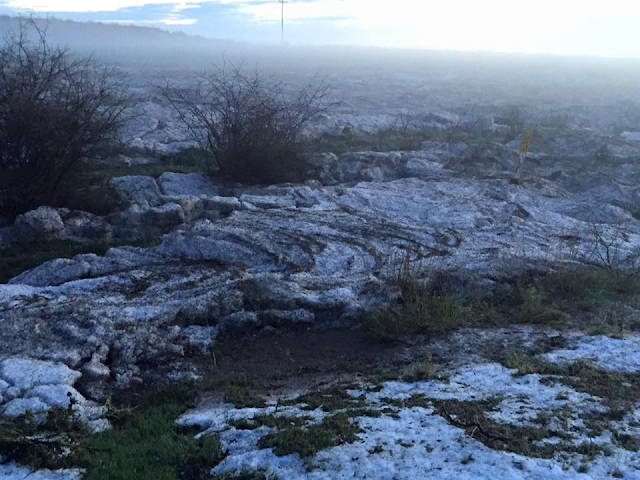 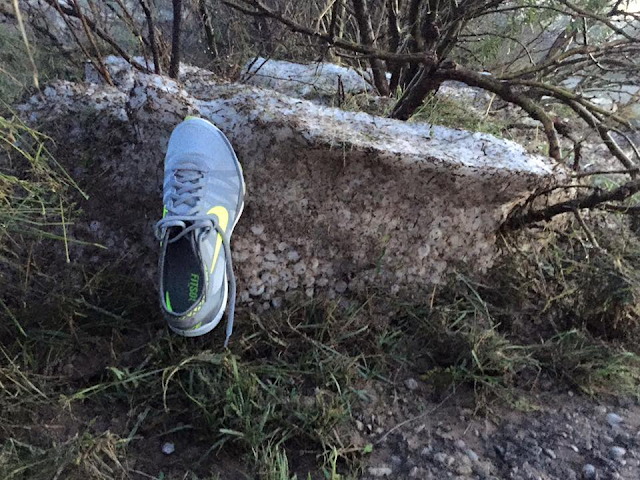 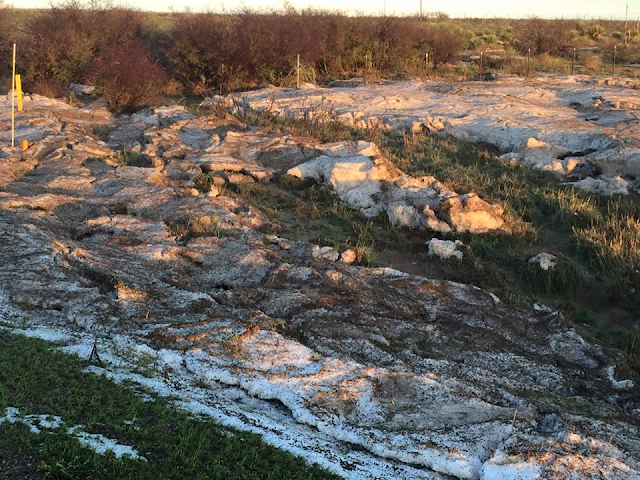 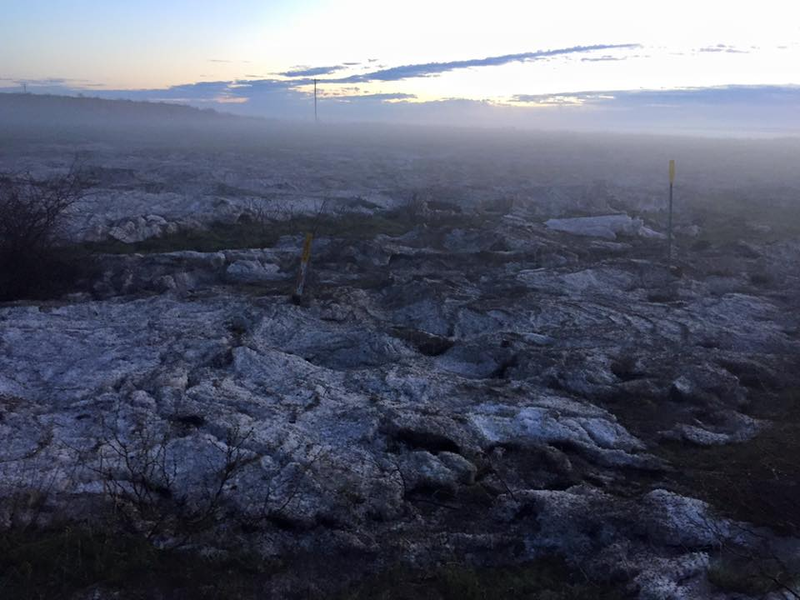 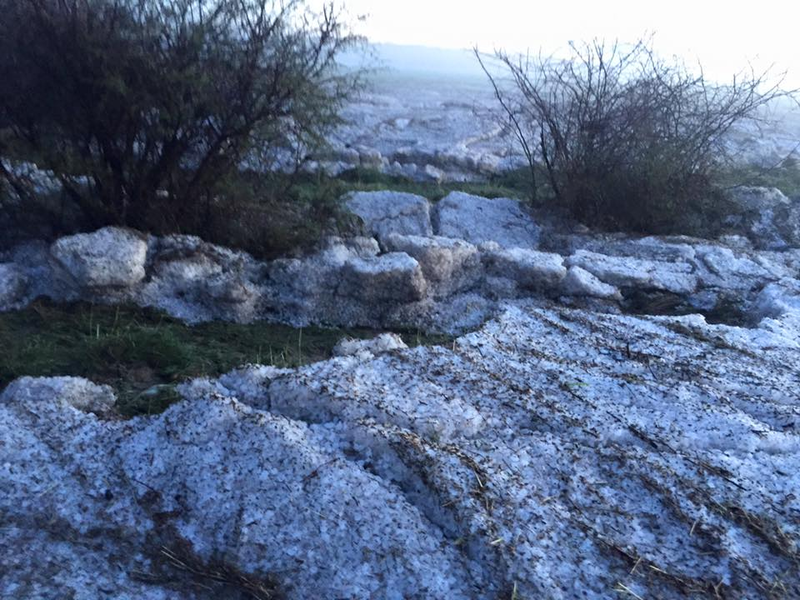 This Hail And Flooding Occurred 2-3 Miles East Of Lake Arthur, NM on Wednesday, Oct 21, 2015. 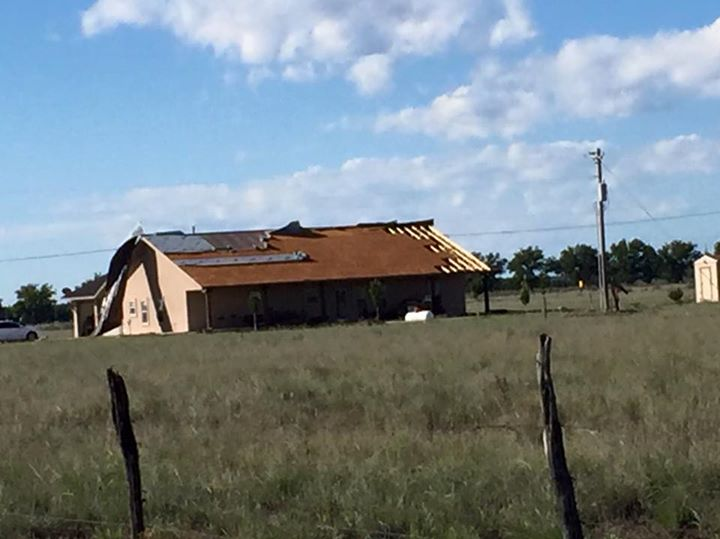 Photos Are Courtesy Of Christi Sue & Melinda Marley Jackson Of Lake Arthur, NM. 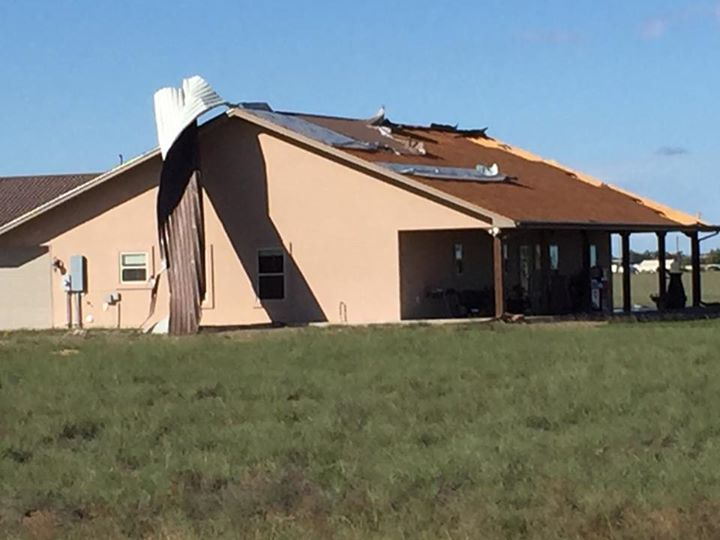 Wind Damage In Cottonwood North Of Artesia, NM Wednesday, Oct 21, 2015. This Was Thrown/Blown Over 100 Feet. 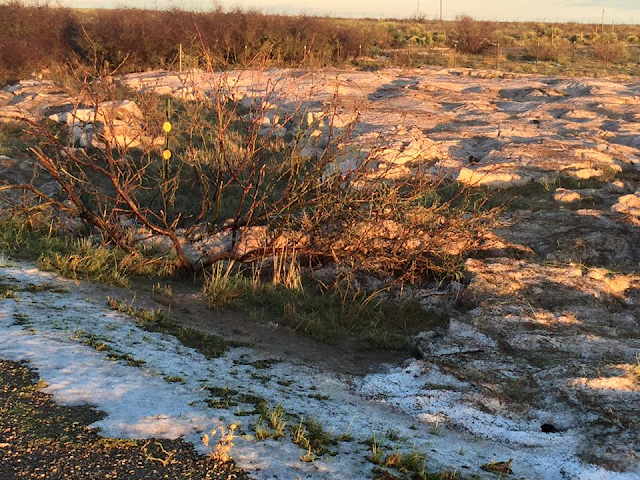 Photos Are Courtesy Of Carrie Greenwood Of Cottonwood North Of Artesia, NM. 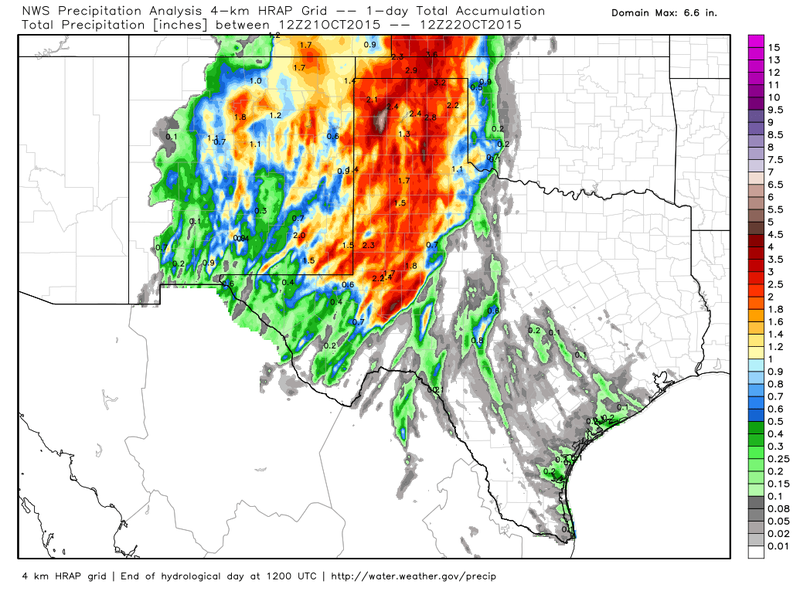 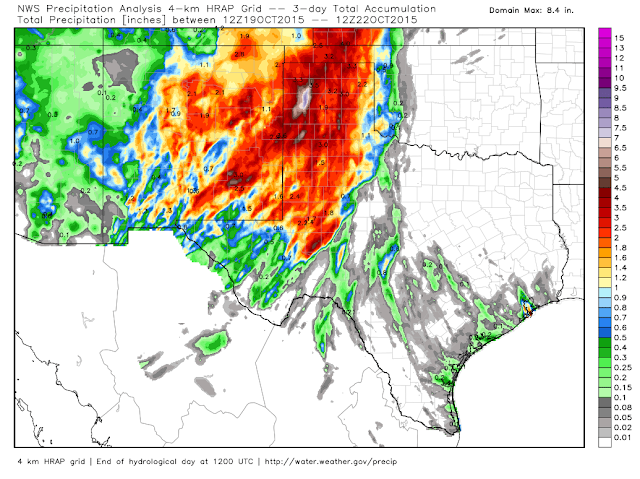 @ 7:40 PM MDT Wednesday, Oct 21, 2015. 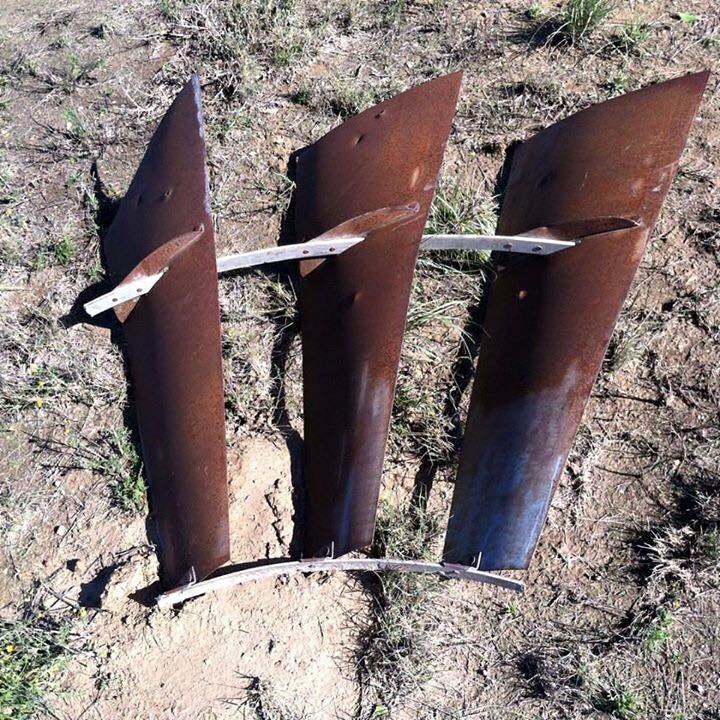 Courtesy Of Assia Lara Of Carlsbad, NM. 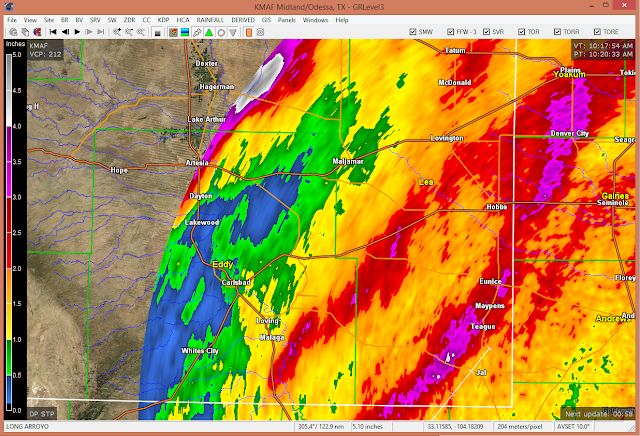 Video Of Flash Flooding In Wednesday Night. Heavy Rain Swamps Artesia, NM 10-21-2015. Second Video Of Flash Flooding In Artesia Wednesday Night. 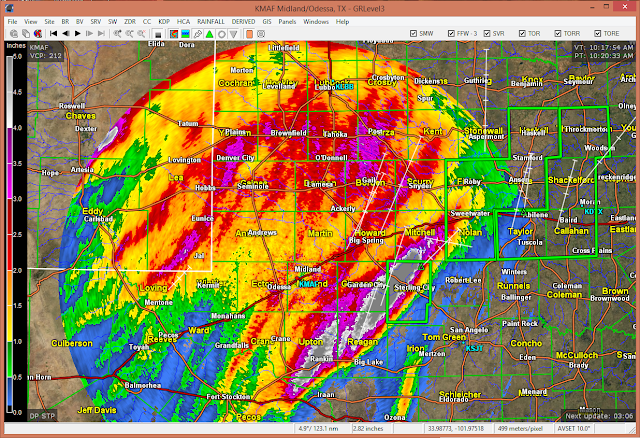 Midland NWS Doppler Radar Estimated Rainfall Totals. 1 & 3-Day Estimated Rainfall Totals. As Of 6 AM MDT Thursday, Oct 22, 2015. 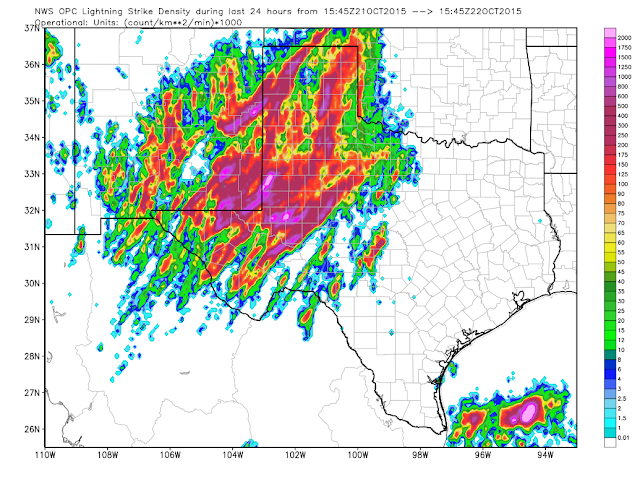 24-Hour Lightning Strike Density Map As Of 9:45 AM MDT Thursday, October 22, 2015. 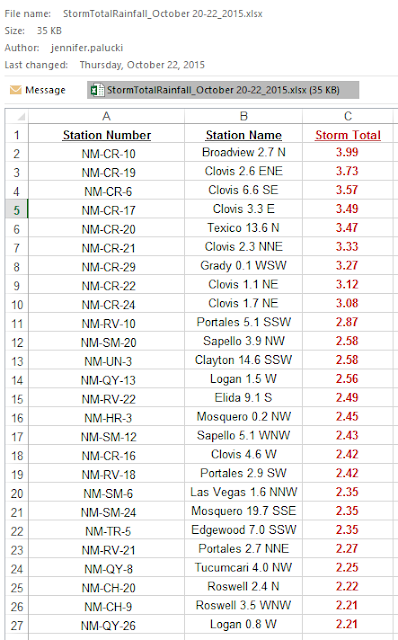 As Of 9 AM MDT Thursday, Oct 22, 2015. 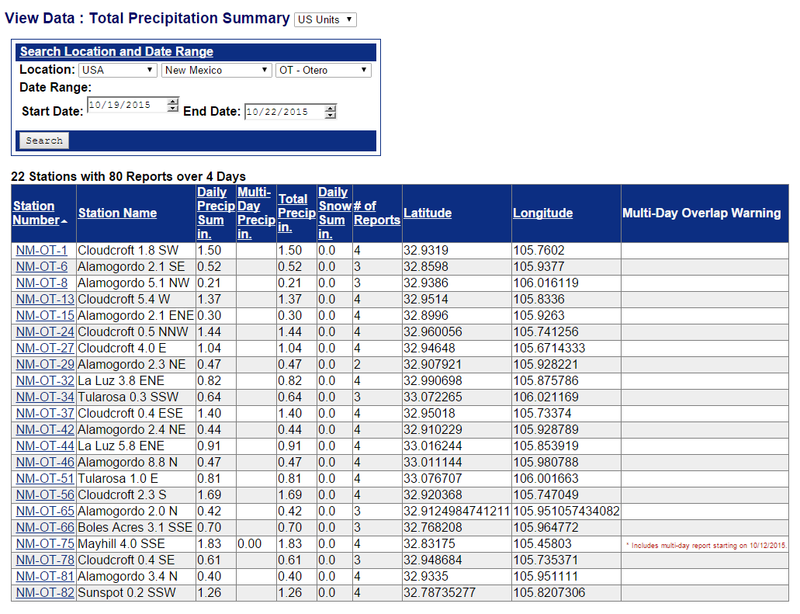 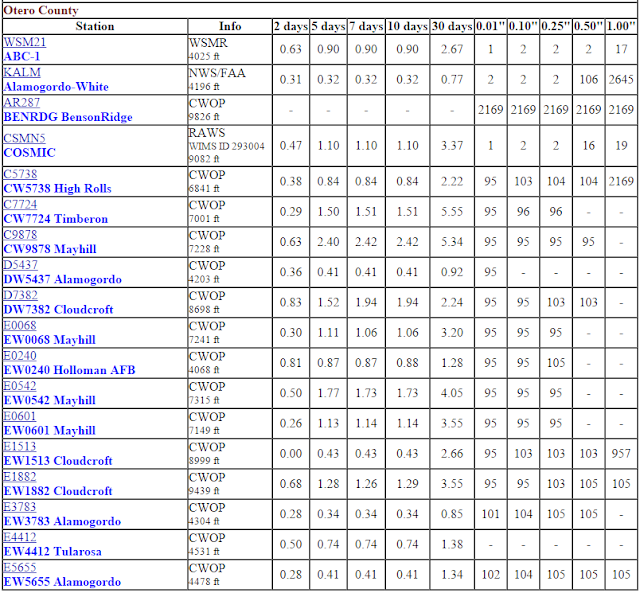 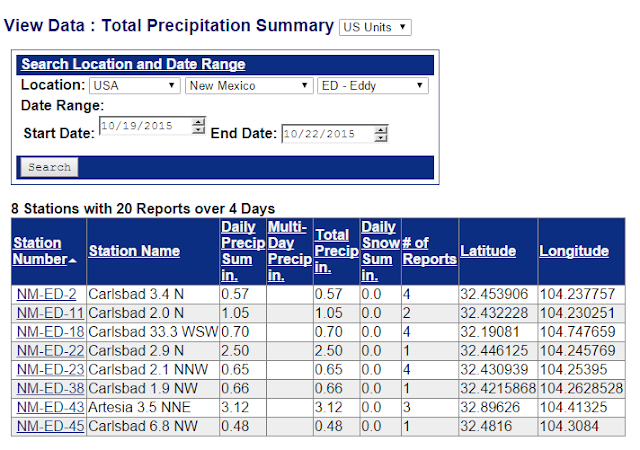 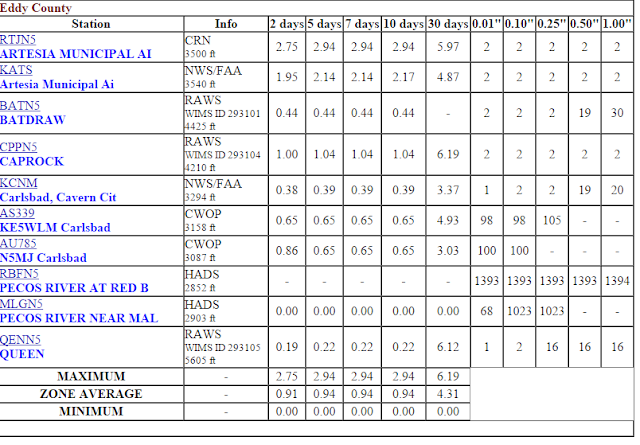 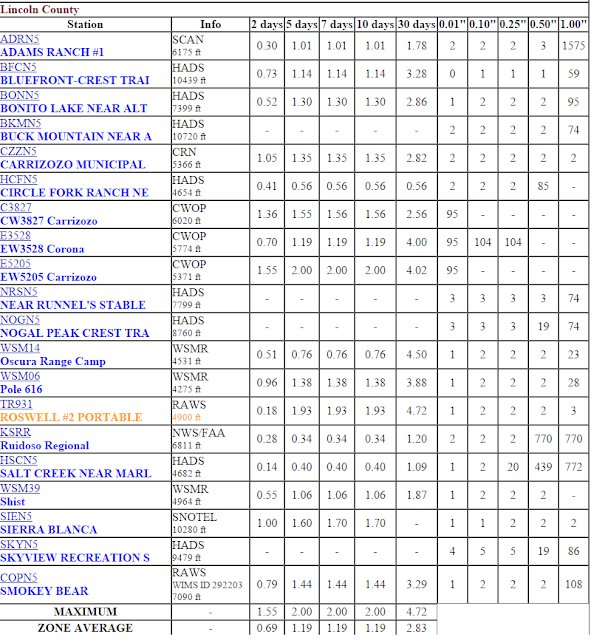 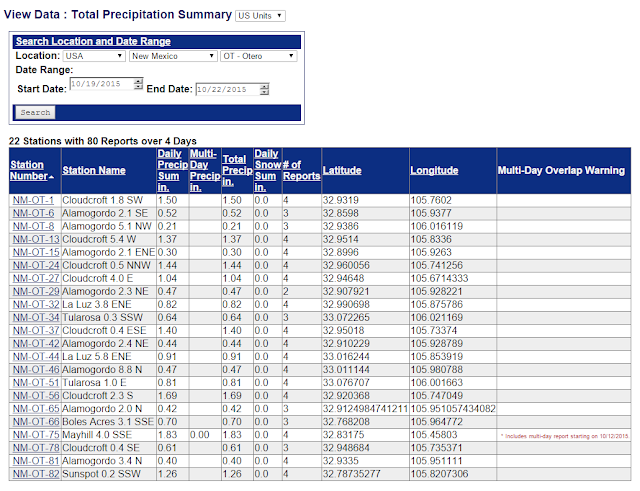 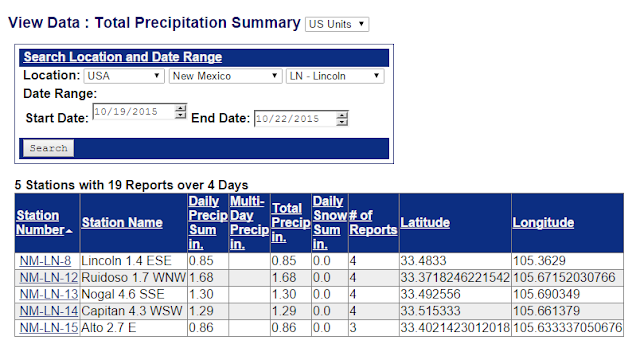 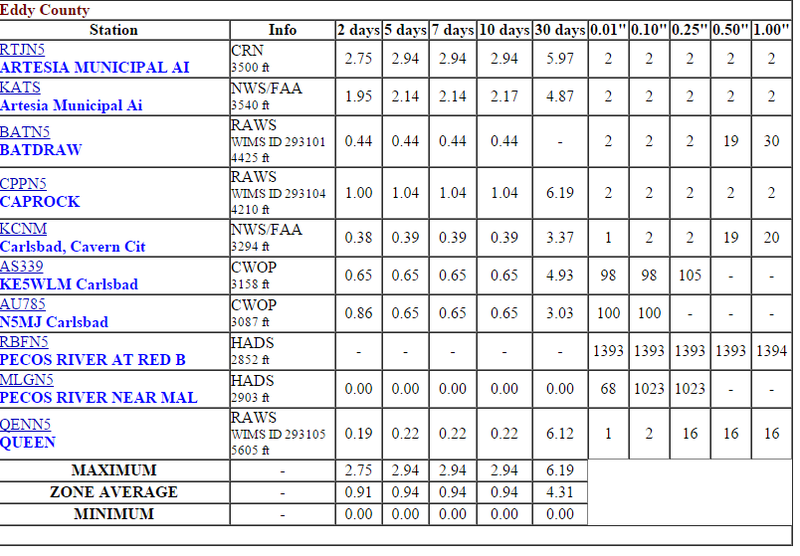 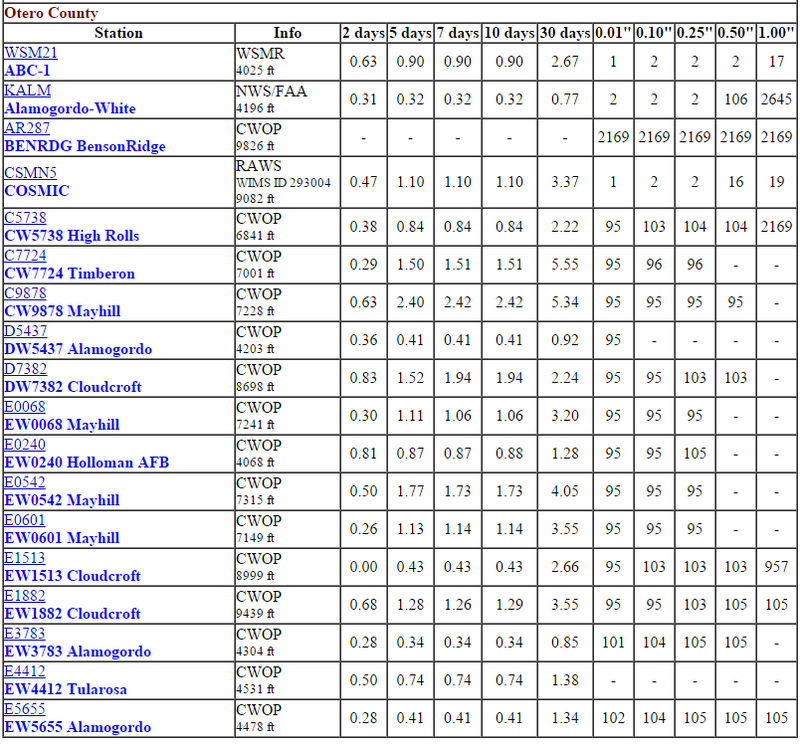 3-Day CoCoRaHS Storm Total Rainfall Reports. 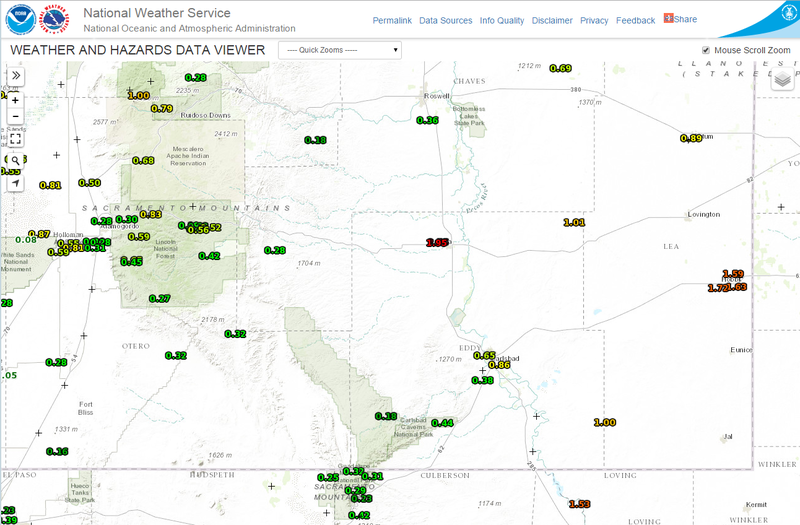 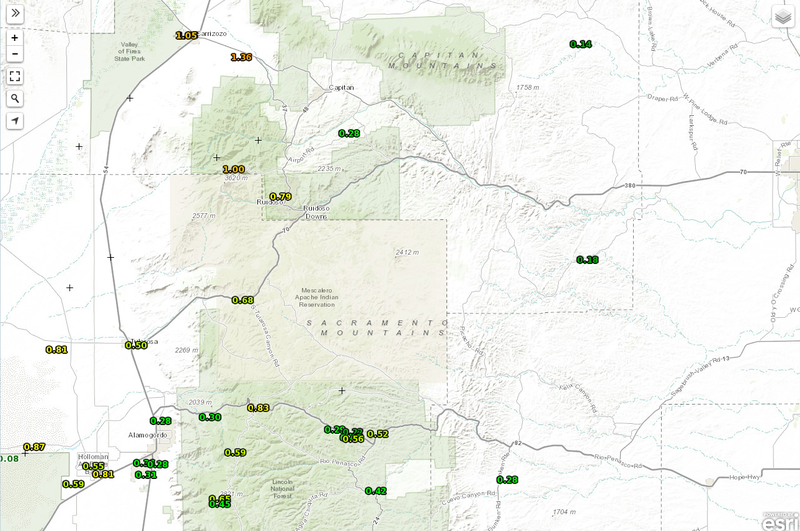 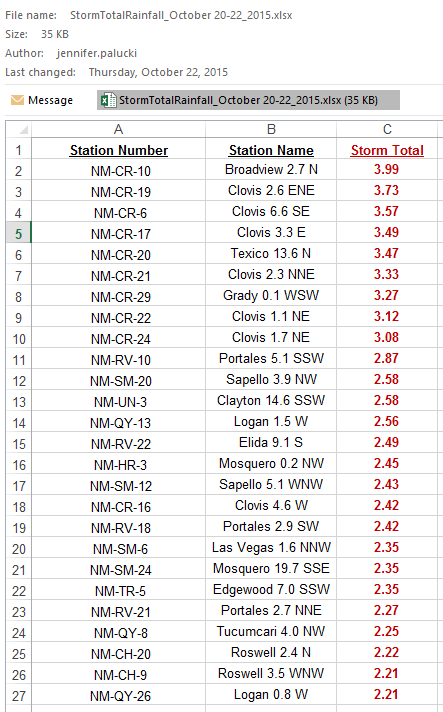 NWS MesoWest Storm Total Rainfall Reports. 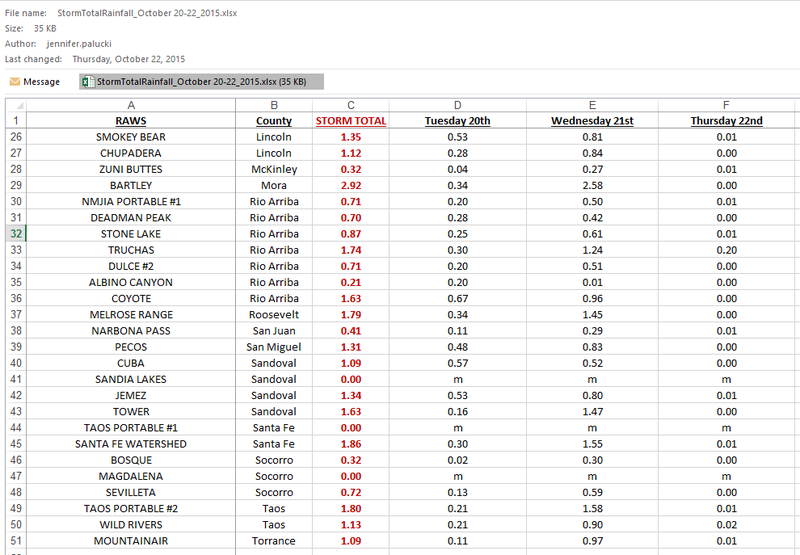 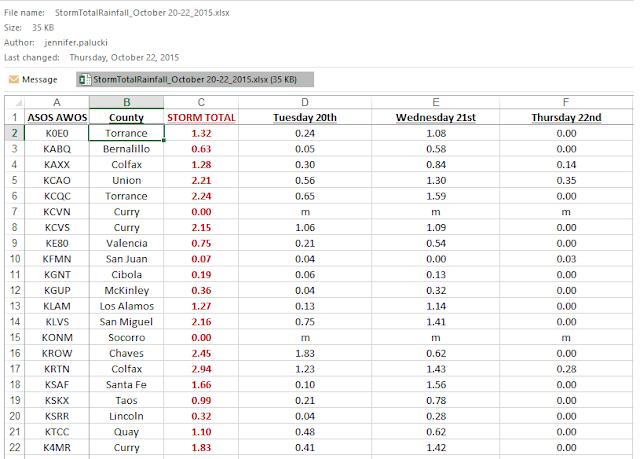 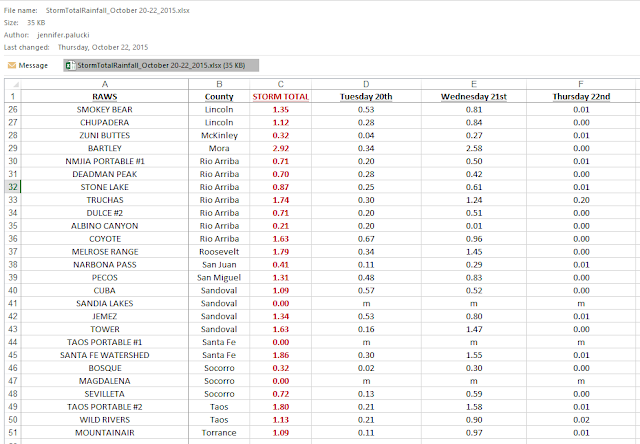 Albuquerque National Weather Service Rainfall Summary. 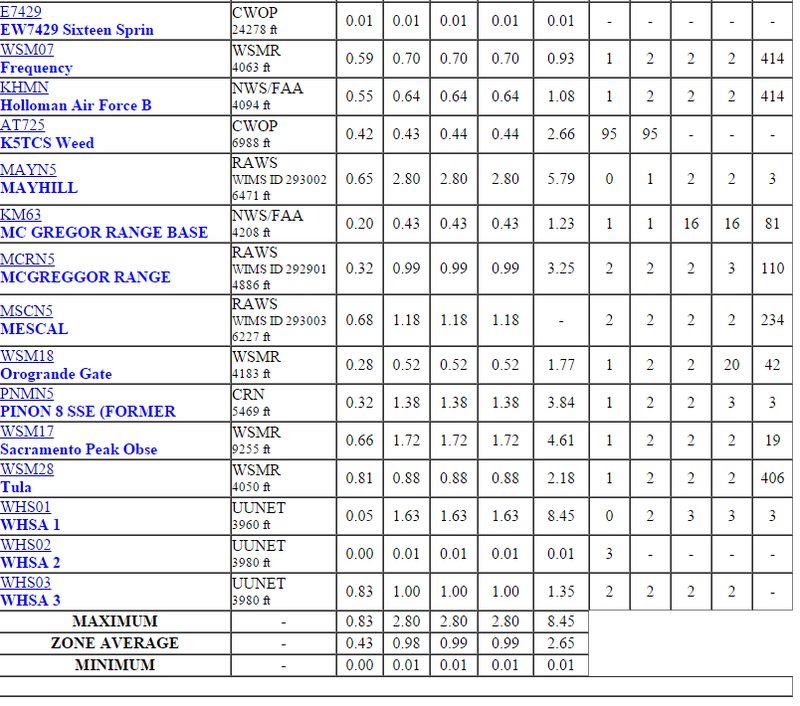 Use This Link To Decipher These Airport ASOS Locations. Example: KCAO Is The Clayton, NM Airport ASOS.